A goal of systems biology is to develop an integrated picture of how the myriad components of a biological system work together to produce responses to environmental inputs. Achieving this goal requires (1) assembling a list of the component parts of a cellular regulatory system, and (2) understanding how the connections between these components enable information processing. To work toward these ends, a number of methods have matured in parallel. The compilation of a cellular parts list has been accelerated by the advent of omics technologies, which enable simultaneous characterization of a large collection of biomolecules. A particular type of omics technology that is useful for understanding protein-protein interaction networks is proteomics, which can give information about a number of dimensions of the state of the cell’s proteins: quantification of protein abundances within the cell, characterization of the posttranslational modification state of the proteome through phosphopeptide enrichment, and identification of protein-protein interactions through co-immunoprecipitation. 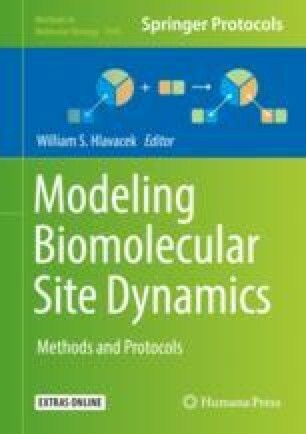 Mathematical models can be useful in analyzing proteomic data.